The days of the Old Republic are upon us. The Jedi are marching through in an effort to quash to the Sith meta threat. 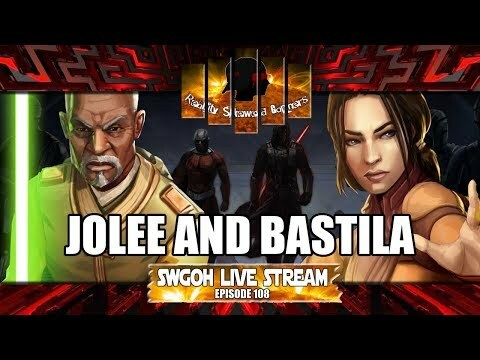 Traya, Sion and Nihilus seem unwavered, but will Jolee and Bastila be the start some something much bigger than the triumvirate? Join us as we discuss these two new characters and much more in week's SWGOH Live Stream!